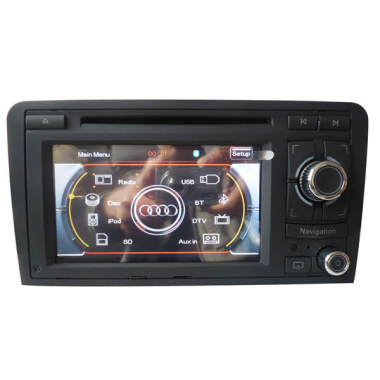 This Audi A3 Navigation is special for Audi A3 2002-2010 year model, Audi A3 DVD is with GPS Navi built-in, and we will send you GPS software and maps for free, buy this Audi A3 DVD now to get Free Shipping! As you can see, the back of the main unit is with goldern color, which makes this Audi A3 GPS more high-end. If you still have doubts if this car DVD player can fit your Audi A3, just feel free to contact us. We will do our best to help you. - With Can-Bus Steering Wheel Controller. - Dual zone function: drive can listen to music while viewing the map.